Thanks for joining me for another tutorial for sewing the Anna Blouse. Today I will talk about setting sleeves. The Anna Blouse has a set in sleeve. The side seams and under sleeve (underarm seams) are sewn before setting the sleeve. This is similar to the way a blazer sleeve is sewn in place. 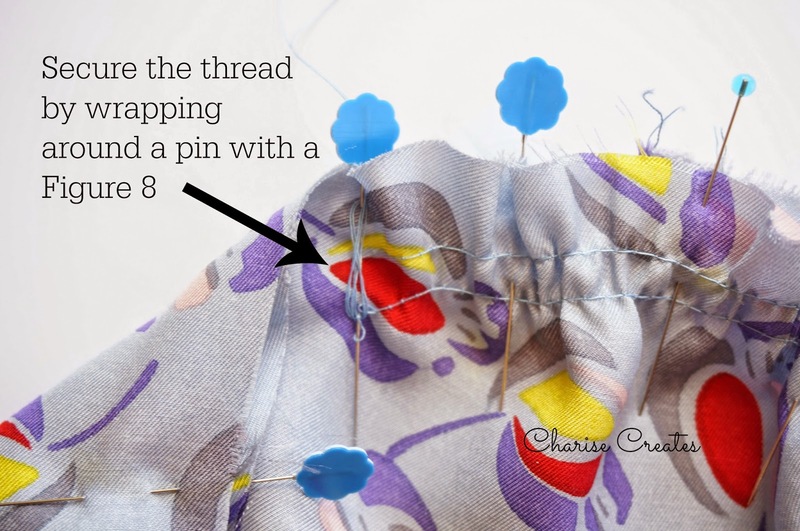 1) Change the stitch length on your sewing machine to a longer basting stitch length. Stitch two lines of stitches 1/2" and 3/4" from the raw edge, between the notches, on the right side of the sleeve. Back tack at one end to secure the stitches. 2) Change the stitch length back to 10 - 12 stitches per inch. Sew the Under Sleeve (underarm) seam and Hem following instructions. 3) Turn the sleeve right side out. Turn the garment inside out. Pull up the bobbin side (wrong side of the sleeve) basting threads on the sleeve. to the garment Under Sleeve seam and pin in place. Match the notches on the sleeve to the notches on the garment and pin in place. Pull up the bobbin threads on the gathering stitches. 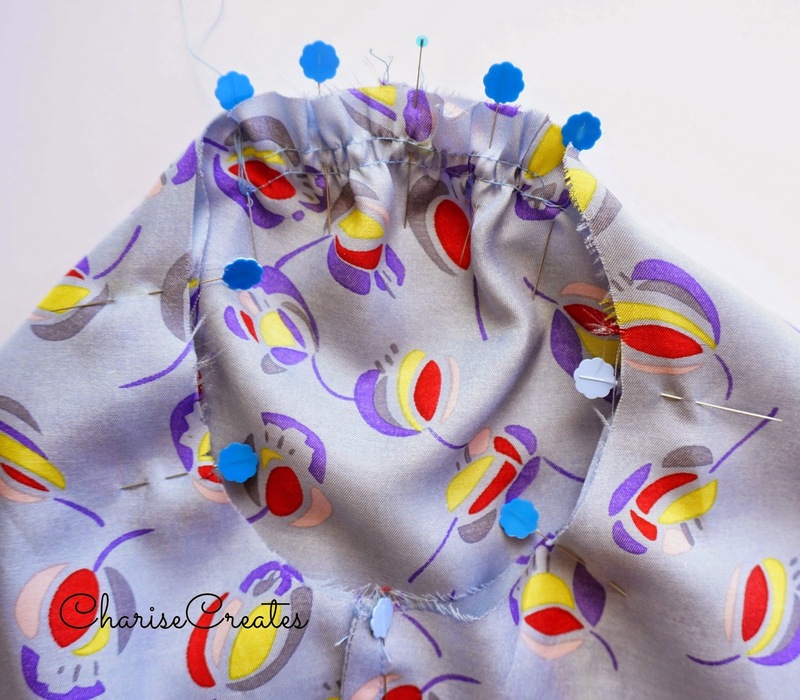 4) I like to secure the threads on the end without the back tacking, by wrapping the thread around the pin on the opposite side of the gathers at the notch. Distribute the gathers evenly. Use the tip of a pin to help move the gathers. 5) With the wrong side of the sleeve facing you, stitch the armhole seam. Start stitching at the under sleeve seam, continuing to the beginning. Back tack at ends. 6) Finish the raw edge with a serged or zig zag finish. You are almost done! 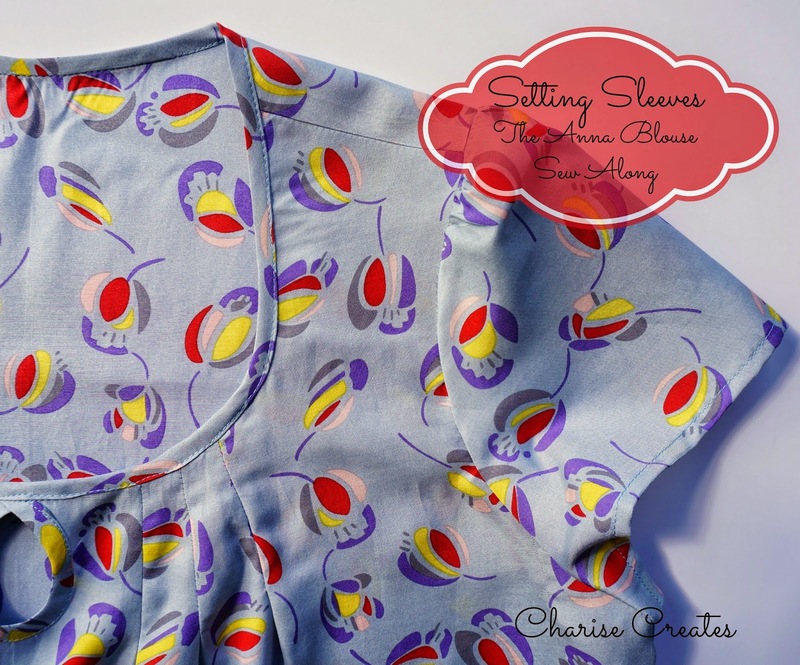 I will share a few methods for hemming your blouse tomorrow.